Is green coffee effective for weight loss? 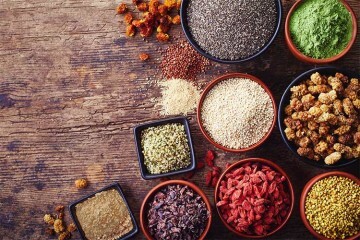 Ever since it was mentioned on the Dr. Oz show several years ago, this ingredient has turned into one of the bestselling diet pills on the market. Though any supplement you see using his name is not being honest. Dr. Oz never endorses specific brands. The science of how it might help you drop the pounds is intriguing, though steeped in controversy (more on that in a minute). We are even more curious of its potential cancer risk versus roasted coffee. Whether it’s black, espresso, or cold-pressed, all forms of coffee normally use roasted beans. 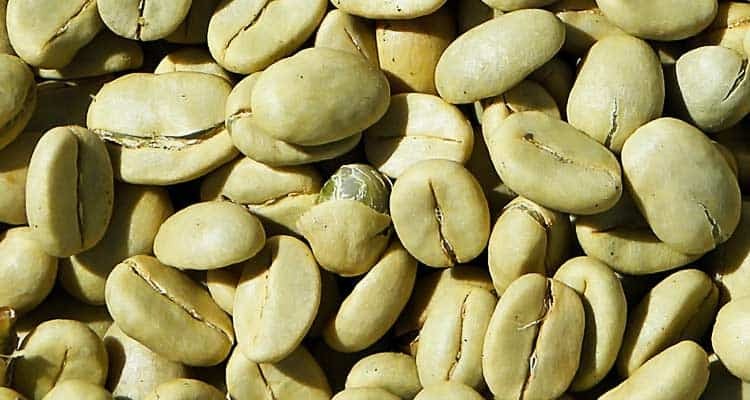 Green coffee is what the unroasted beans are called. They have an extremely astringent bitter taste, not the coffee flavor and aroma one is accustomed to. 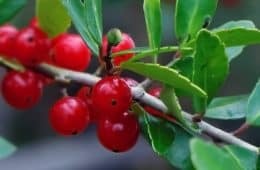 They are used for home roasting and more recently, the extract is used in weight loss supplements. On a related note, another way the coffee plant is being used is for its fruit. That’s right, technically this food is not a bean. It’s a stone fruit like cherries. The part that’s roasted is the “pit” or seed inside, not literally a bean. On the outside of that seed is a bright red fruit – known as the cherry or cascara – which is loaded with antioxidants. Starbucks has even begun selling coffee cherry drinks, though the amount of this they use pales in comparison to all the added sugar. 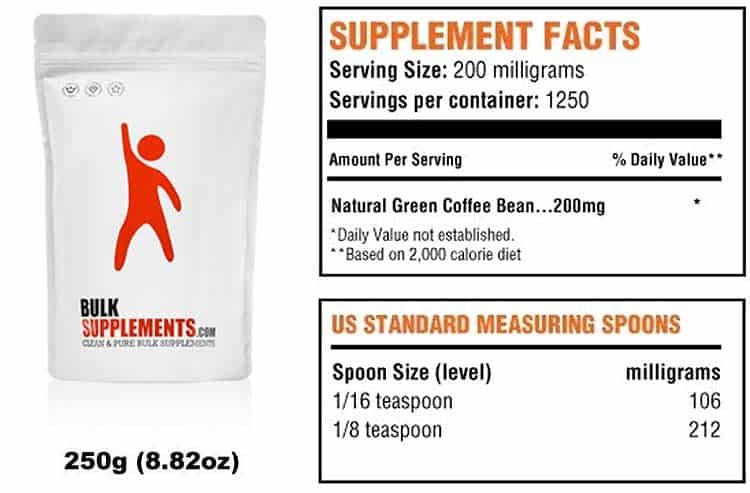 Green coffee bean extract is safe for most people when used according to instructions. A possible side effect is the need to defecate, just like how normal coffee does that for many. 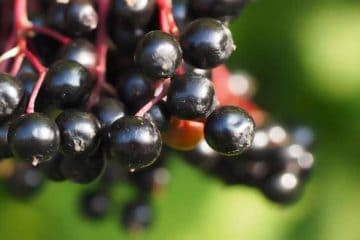 Other adverse reactions are related to its caffeine content and those can include increased urination, jittery feelings, insomnia, rapid heart rate, and interactions with prescription drugs. In short, there’s no difference between green coffee vs. black coffee when it comes to likelihood of side effects. Because of the natural caffeine content, both are dangerous when consumed in excess, especially for those with cardiovascular diseases (e.g. high blood pressure) and women who are pregnant or may become pregnant. Caffeine aside, it’s what’s not in these green beans that may actually make it even safer than regular roasted coffee. 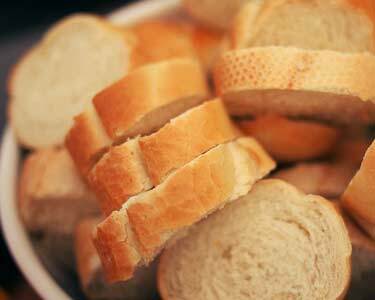 We are talking about acrylamide. You hear research like that in the headlines, though few people are talking about the dark side of this drink. Acrylamide is formed when carbohydrates – such as coffee beans – are exposed to high temperature heat, especially concentrated sources of it like roasting, grilling, and frying. 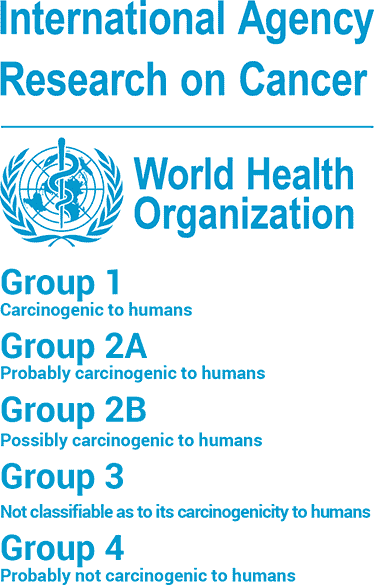 It’s also found in cigarettes and tobacco products. 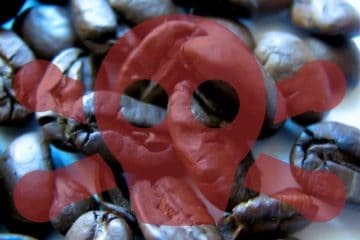 Sure, drinking coffee provides you with lots of antioxidants, though you’re also getting a potentially cancer-causing compound in the process. All three of these provide high levels of antioxidants. Based on ORAC measurements, almost any form of coffee is superior to green tea. A medium-roast of brewed Arabica comes in at 2,780, while the tea is over 50% lower at 1,253. The advantage the green tea has over roasted coffee is that it doesn’t contain the suspected carcinogen, acrylamide. With green coffee beans you get the best of both; high antioxidant content without the acrylamide. There’s a reason why throughout the centuries of coffee making, the beans have always been roasted. It’s because they taste awful when raw. That’s the big disadvantage of green. Based on the acrylamide issue, one may assume that drinking green tea is the healthiest option. It might not be! A whopping 330 mg is how much caffeine you get from a Grande Starbucks Pike Place. To get that from green tea, it would take 11 bags! 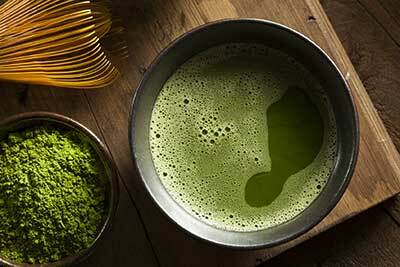 Even matcha isn’t much better. So should you consider the unroasted beans as a black coffee alternative? Due to their poor taste, green coffee uses are relegated to supplement forms like capsules and as powders which are mixed with other flavors. 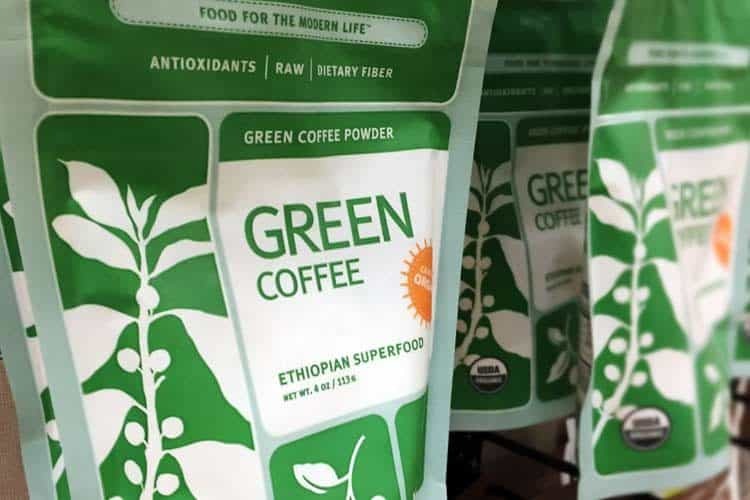 Even though pure green coffee bean powder won’t taste good on its own, it will provide for you the benefits of caffeine and ample amounts of antioxidants. Let’s focus though on those first two in the list; chlorogenic acid and trigonelline. Chlorogenic acid weight loss reviews and research are the reason why green coffee pills are so popular. Both roasted and non-roasted beans contain this compound, but the amount is substantially higher in the green. 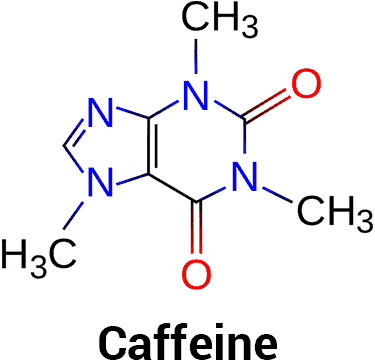 On the flip side, the antioxidant trigonelline is largely created during coffee roasting. 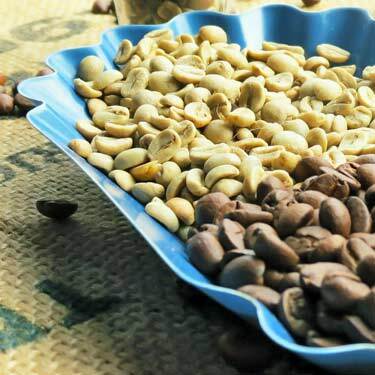 Your typical roasted Arabica will have up to 10x the amount of trigonelline as the unroasted. The highest amounts are in the light and medium roasts, not the dark. ORAC value testing is just one of many ways to test antioxidant potency. When it comes to estimating benefits for heart health, another useful method of testing antioxidants is the rate at which cholesterol oxidizes. The longer the time, the better. As you see, green Robusta beans are best, followed by green Arabica. The darker the roast, the quicker the lag time and hence, more oxidation. Based on that data, you may be inclined to choose a light roast for your breakfast. While even though it may perform better in this test, the bad news is that the lighter the roast, the higher the coffee acrylamide. So we have yet another health benefit of green coffee vs. roasted of any kind. This history of using it for this purpose is highly controversial. Even more so than Garcinia cambogia. After Dr. Oz highlighted the extract in 2012, the pills could be found everywhere from Walmart to GNC. That is… if you find them in-stock. Considering the shady history, should we throw the baby out with the bathwater? Perhaps not. 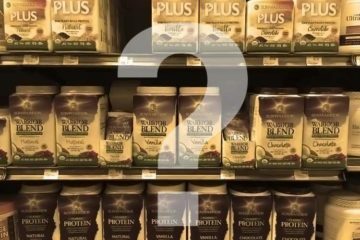 Even though many weight loss success stories and supplement claims of that era were undoubtedly embellished, there is other research which suggests there might be something to it. While it’s certainly not unique to the green beans, there’s a good reason why so many diet supplements include a source of caffeine. This benefit has never been conclusively proven and to be frank, the number of dedicated studies on this topic are disappointing. That’s partly because there’s no monetary incentive of testing plain ol’ caffeine. Instead, supplement manufacturers bankroll studies for their multi-ingredient formulas. Sure they have caffeine, but also Garcinia cambogia, raspberry ketone complex, apple cider vinegar or whatever else is the flavor of the week in the dieting world. As a result, it’s impossible to know what each ingredient is doing separately. You can go back nearly three decades and find evidence in the prestigious American Journal of Clinical Nutrition of just using caffeine. In that study were both lean and obese volunteers. From just a 100 mg caffeine dosage taken every 2 hours, it was reported that their thermogenesis (calorie burning) was boosted by 8 to 11%. 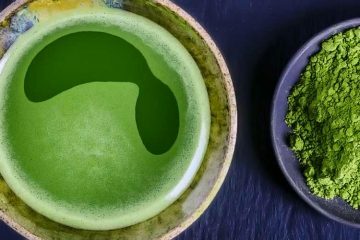 Another study published ten years later, in 1999, tested green tea and found that a 4% boost in basal metabolic rate couldn’t be explained by just the caffeine alone. That brings us to the next point. Whether it’s tea or coffee, are there other compounds in them which might also be revving up the metabolism? A small randomized human study was done at a university in the United Kingdom. Participants were given 25 grams of glucose (sugar) diluted in 400 mL of water, regular coffee, and decaf coffee. The chlorogenic acid in green coffee bean diet pills is what’s touted, though it may not be the only beneficial component. This is the type of fat that sits behind your abdominal muscles, surrounding your vital organs. A human study on this hasn’t been done, which is no surprise. In animal research, they are killed and dissected to evaluate after… obviously something you can’t do with people! MRI’s could provide insight into visceral fat levels before, during, and after, though one can only imagine how much all those scans would cost! Similar effects were seen in a Japanese study, pictured above. For two weeks, mice were fed green coffee bean extract equal to 0.5% and 1% of their diet (30 mg and 60 mg per kg of body weight). Other groups were given caffeine and pure chlorogenic acid. Adiponectin is a protein involved with glucose level regulation and the breakdown of fatty acids. 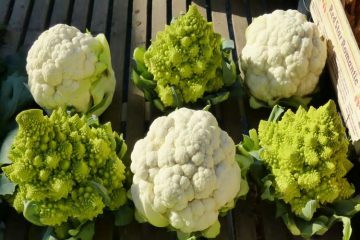 It is believed to play a role in insulin resistance (type 2 diabetes) and atherosclerosis. Translation? You want lower adiponectin! Leptin is created by adipose (fat) tissue. It’s nicknamed “the fullness hormone” because it tells your brain how much fat you have stored on your body. The more overweight someone is, the more leptin that gets created. You would think that would mean fat people would not have an urge to eat, because they have even more leptin going to their brain. 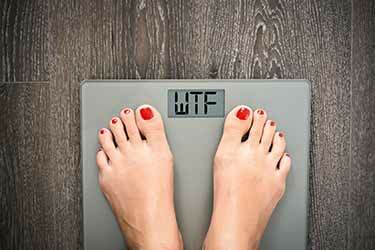 That’s why lower leptin levels might actually help overweight people. Okay so after the Dr. Oz saga, some “research” had to go into the rubbish. Setting that aside, is there anything out there to suggest you might lose weight with green coffee? 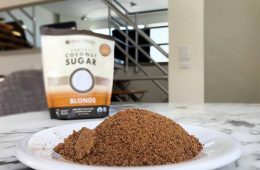 Norwegian researchers tested instant coffee with a chlorogenic acid boost and regular instant coffee. 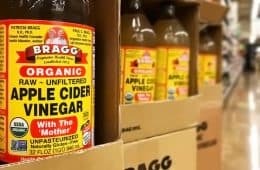 Between the two, it was found that the added chlorogenic acid reduced absorption of sugar by 6.9%. That was small clinical study using 12 healthy individuals. Next they did a randomized and double-blind study with 30 overweight men and women. For 12-weeks they consumed either normal instant coffee or the enhanced version. Instant coffee = 3.8 lb (1.7 kg) drop in body mass and 0.7% drop in body fat. Instant w/ chlorogenic boost = 11.9 lb (5.4 kg) drop in body mass and 3.6% drop in body fat. What’s interesting here is that both group lost weight, which would be expected if caffeine and other compounds really can do that. 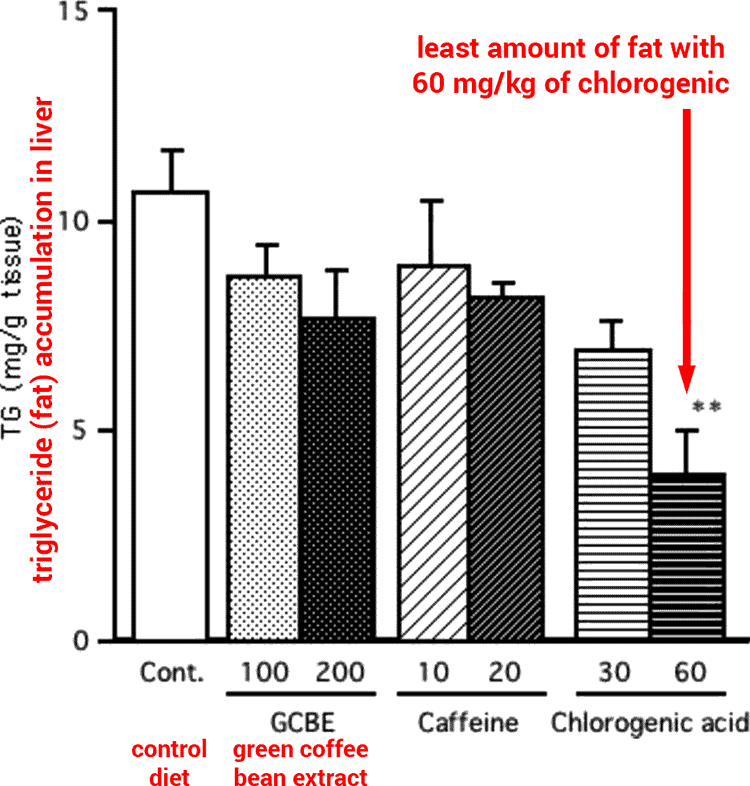 Both drinks contain chlorogenic acid, yet the version with more also correlated with more weight loss. In many of the rodent studies discussed above, reductions in body weight were also observed. It’s premature to claim green coffee bean works for weight loss. While there is a fair amount of animal data to suggest it might, very little human data exists after one ignores the retracted research. 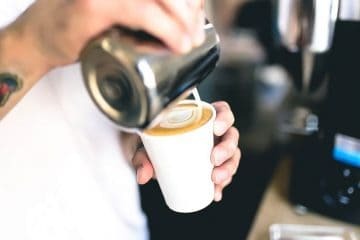 Even if it doesn’t work, the good news is that green coffee extract has other advantages when it comes to acrylamide and antioxidant content. The best green coffee bean extract will depend on your needs and goal. For weight management, capsules will be the easiest way to take it. Choose a supplement that’s 45 to 50% chlorogenic acid. For energy and antioxidants, use green coffee bean powder instead. 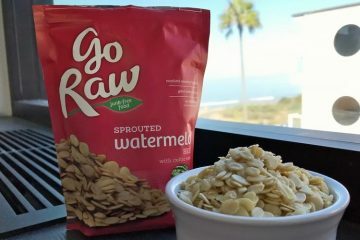 To mask its bitter taste, mix with a protein shake, cold-pressed juice, or other healthy drink. In Europe you can buy Nescafe green coffee. It’s only 35% though, with rest being regular instant granules. We don’t recommend this product. The photo you saw pictured at the top was for Navitas Naturals. 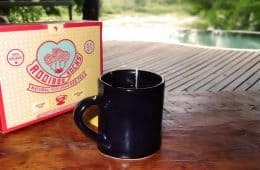 They made an excellent certified organic green coffee powder that was free of fillers and binders. Unfortunately they discontinued this product recently. These days we can only find powder for sale online. None are from recognized superfood brands. Our current favorite is from BulkSupplements. They sell the pure powder that is 50% chlorogenic acid. You can buy it on Amazon in an 8.8 oz bag (250g). The best time to drink it will be in the morning, because it will contain moderate amounts of caffeine. From late afternoon and onward, avoid using because it may interfere with your sleep. The Keurig machine is made by Green Mountain Coffee Roasters. With a name like that, you would think they would sell it. They don’t. There is one company that makes green coffee K Cups. The brand Sollo combines a dosage of the bean extract and Garcinia cambogia together, along with green tea. 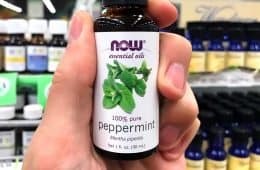 This weight loss trifecta in one pod is an interesting formula, though no studies have been published on whether it works. They use organic ingredients. You can get these K Cups in a 24 pack on Amazon. Another idea is to use a refillable K-Cup and make your own using the bulk powder. The list of supplements being sold with this ingredient is a mile long. The names of these diet pills all sound similar. There’s Leptin Green Coffee 1000. Other brands use different numbers. Adjectives like Pure Cleanse, Max, Turbo, XL, and Ultra are in the names of most. Many of these, like Leptin 1000 and Green Coffee Ultra, are only sold direct. At stores like CVS and Walmart you will see Purely Inspired, which a large diet pill brand. 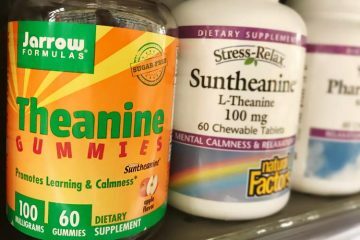 A big vitamin manufacturer, Nature’s Bounty, sells tablets combined with raspberry ketones. Some locations sell the smaller guy you might recognize like Bio Nutrition and NatureWise. Which green coffee extract to buy? You may hear Leptin 1000 is better than Green Coffee Ultra, but where is the proof? 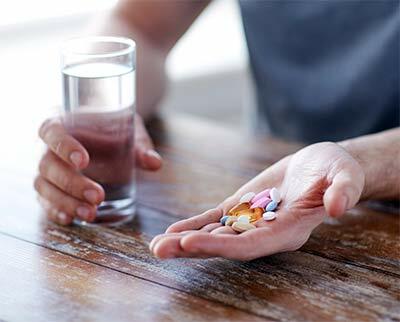 Without clinical studies, the “better” supplement is really just a subjective opinion. One thing you should pay attention to is the amount of active ingredients per capsule. Most report 400 to 800 mg per capsule with a daily dosage of up to 1,600 mg (2 to 4 capsules). That’s for products with chlorogenic acid. Even though it’s not sufficient evidence to prove weight loss, the brand Svetol is what was used in the human study above, with the graph. 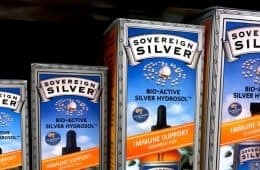 Svetol was developed by a French plant extract company and has been on the market for nearly 15 years. Rather than sell direct, the sell their proprietary extract to other supplement companies. So you may want to choose one that says “made with Svetol” on the box, simply because it’s a well-known and reputable source worldwide. From the brand Sports Research on Amazon, you can get 400 mg Svetol liquid softgels.